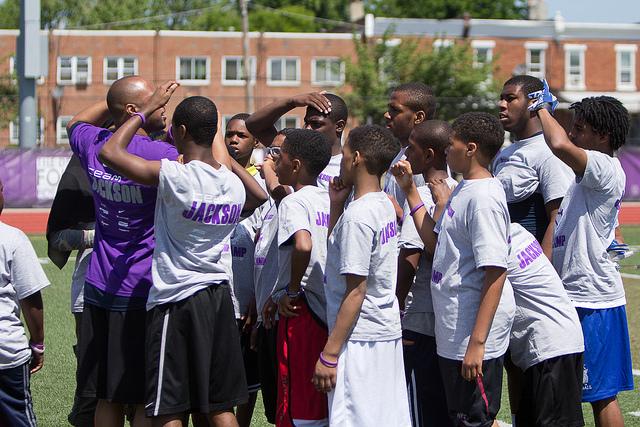 The DeSean Jackson Youth Camp model was developed by a core group of professionals (Team Jackson) who were instrumental in developing, training and shaping the professional athletic career of NFL, All Pro , wide receiver, DeSean Jackson from age of 5 to achieving his dream to play in the NFL. The camps are open to girls and boys, 6 – 18 years old. 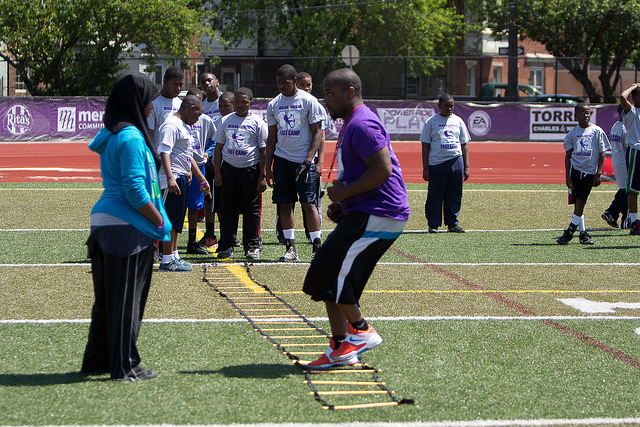 The curriculum includes: Fitness and Nutrition, Footwork, Agility, Speed Techniques, Teamwork, Respect for Others & Yourself, Anti-Bullying. 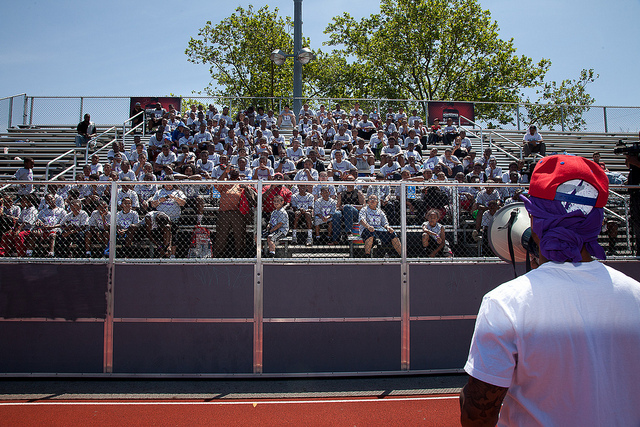 The DeSean Jackson Foundation holds a Community Health Fair during the youth camps when possible to provide free health and dental care and screenings for those who lack access to affordable healthcare. 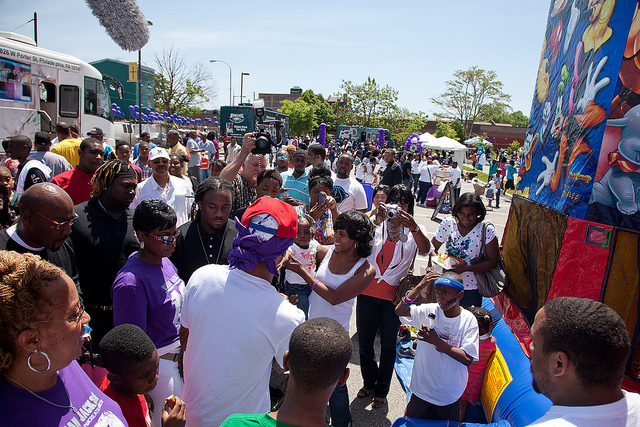 Gayle Jackson, President, The DeSean Jackson Foundation states the community health fair is crucial in early detection especially for Pancreatic Cancer for which there is no cure and over 40,000 die each year from this dreadful disease within months of being diagnosed. 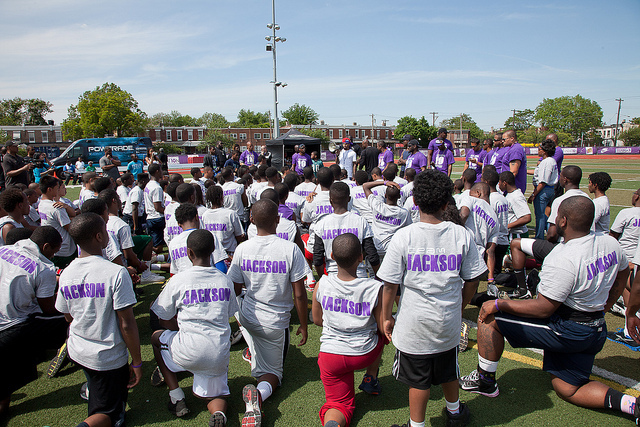 The DeSean Jackson Community Health Fair concept was developed in memory of her husband, William Jackson. Team Jackson consists of: William “Bill” Jackson (deceased); Byron Jackson, Darrick Davis, Irving Booker, Derrick Davis, Travis Clark, Gary Cablayan. Several of the original members of the team developed one of the nation’s premier, elite athlete training programs, EVO Sports Training, based in Los Angeles. 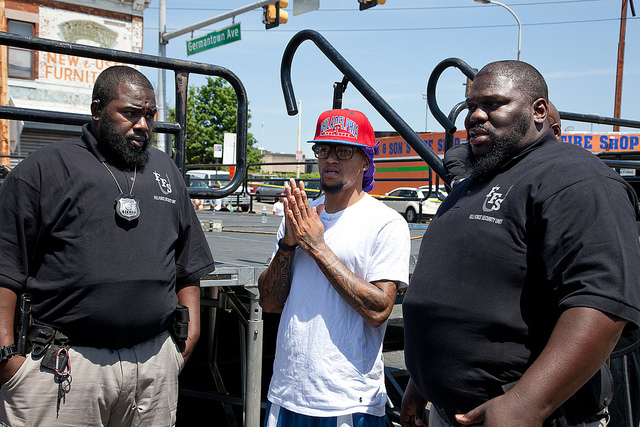 The members of Team Jackson and their impact on DeSean Jackson’s life and legacy is chronicled in the documentary, “The DeSean Jackson Project: The Making of a Father’s Dream“. 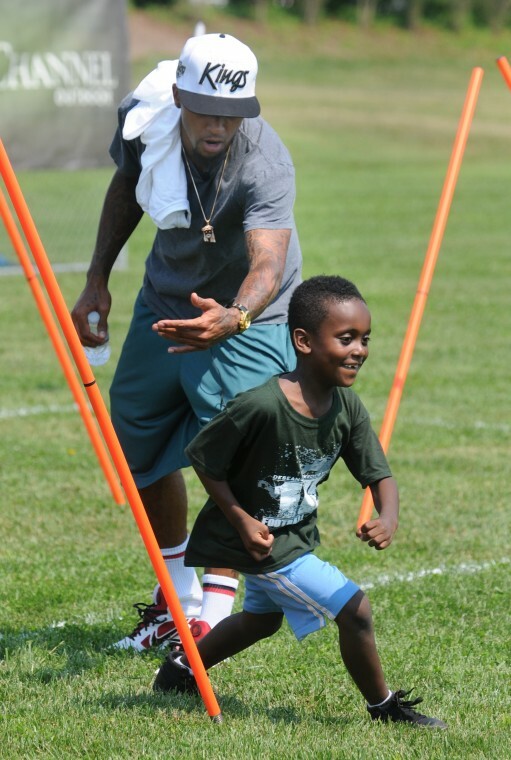 DeSean Jackson continues to train with EVO during the off season; and, developed a partnership with EVO that gives youth in the NFL cities where DeSean Jackson plays; and, low-income, high-risk populations in other communities across the nation an opportunity to train with the ‘best’ in the sports, fitness and nutrition industries. When creating “Evo Sports Training” my goal and vision was to help athletes pursue, manage and assist them to achieve their life-long dream of competing against the best. Starting athletics at a young age, I have acquired the knowledge and experience from youth to my professional level. I have also coached at various levels from youth to high school, college and now the professional and elite levels of athletics. My knowledge and understanding of the human body is on par with the best in the fitness and athletic training industry. I believe my clients have benefited from my knowledge of human kinematics where I am able to correct the training problems of individual athletes. One of my coaching strength’s is that I am constantly evolving. Modern science and research is always changing and our understanding of things continues to progress. No study in of its self is concluding, but rather each study forms a small piece of the high performance puzzle. Currently, I am training a global group of elite and professional athletes in preparation for the 2016 Olympic games in Rio de Janeiro. In addition, I have coached two Olympians, Toyin Augustus (100 hurdles) from Nigeria and Kenneth Medwood (400 hurdles) from Belize. 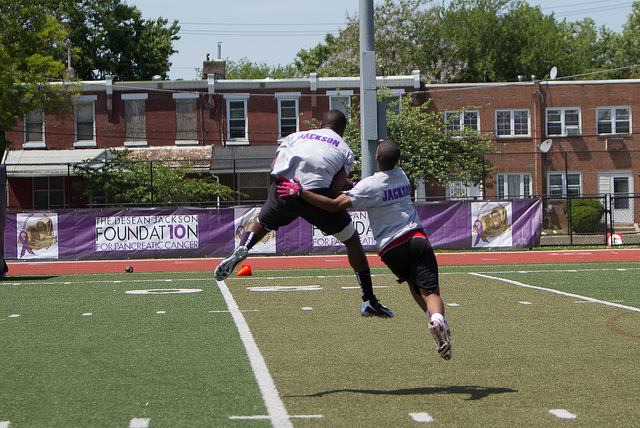 My expertise as an elite speed specialist has caught the eye of many NFL players. 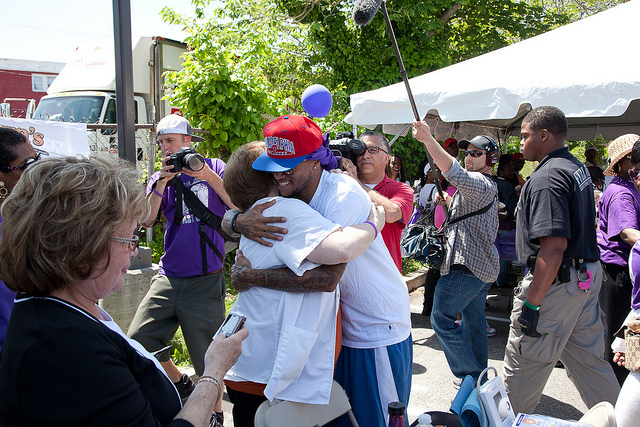 One of those players is Washington Redskins’ receiver DeSean Jackson. 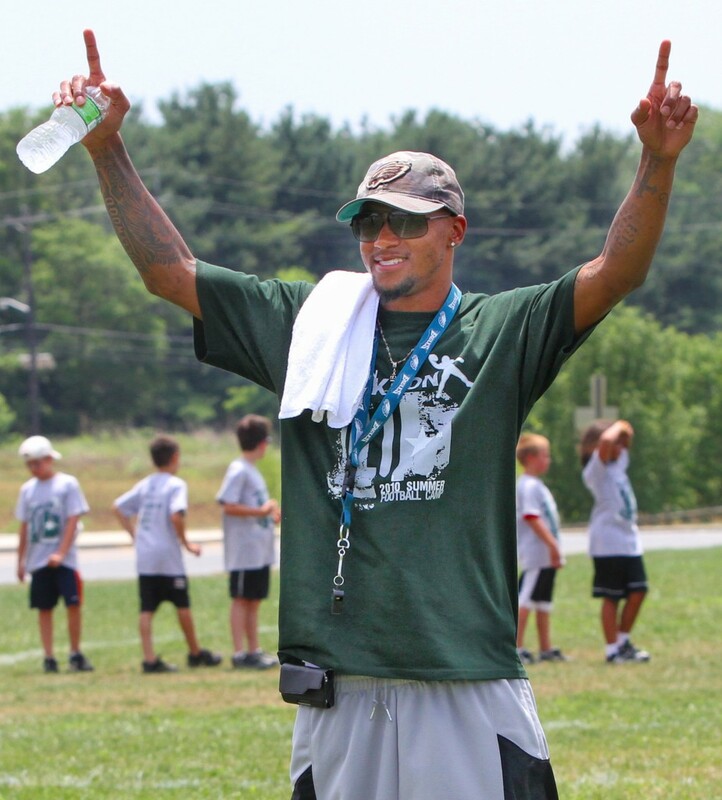 I’ve been part of the development of DeSean from his youth through his journey to the Pro’s. I was instrumental in his training for his NFL combine, where he posted the fastest time as a receiver in the 2008 draft class. To this day DeSean Jackson is considered one of the fastest and most explosive players in the NFL. Since 2009, I have trained collegiate football players for the NFL Combine. Through proper speed work and specific strength and power training, I have been able to build the physical qualities required to improve their times by an average of 0.2 seconds in the 40 yard dash. Educationally, I hold a bachelor of science in kinesiology from California State University, Long Beach. I am also a certified USA track and field coach in the sprints, hurdles and relays. Brandon began his college career at Long Beach State. While at LBSU, he became a 5 time conference champion under the guidance of Coach Jerry Cablayan. In addition, he still holds the Freshman 100 meter record and was a 1995 Junior All-American. After 2 years at Long Beach State he transferred to UCLA, where he became a Pac 10 Conference Champion and All-American in the sprints. His 4×100 meter relay team ranks 2nd all time in the UCLA record books. Brandon has helped athletes reach their performance potential since 1998. 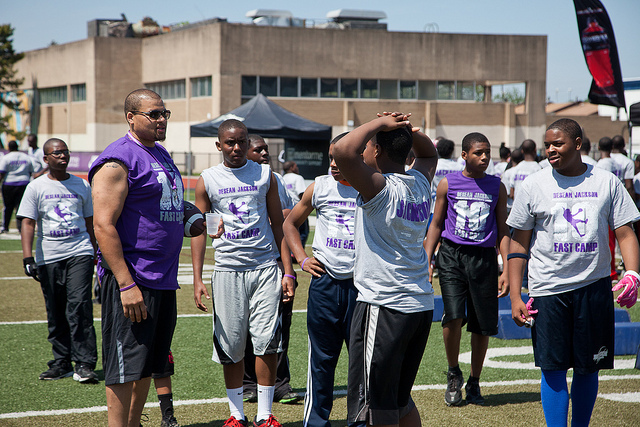 He has coached many athletes at the high school, collegiate and professional levels. He has trained CIF All-State and CIF Southern Section Performers. 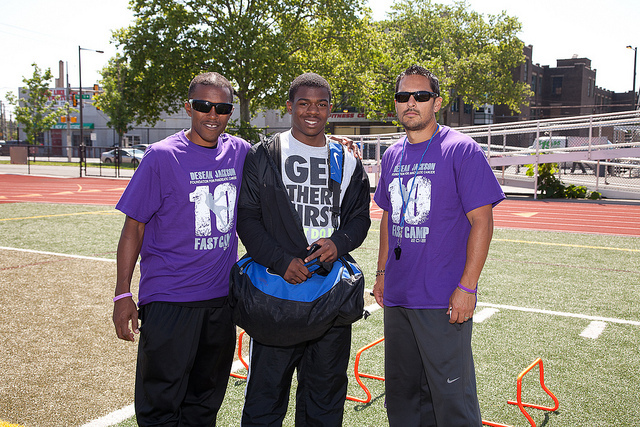 Since 2010, Brandon has worked with Gary Cablayan to help athletes prepare for the NFL Combine. Through proper speed work and specific strength and power training, they have been able to build the physical qualities required to improve their times by an average of 0.2 seconds in the 40 yard dash. Brandon has also been involved with the UCLA Summer Camps and has developed youth training programs for the City of Tustin, Long Beach City College Athletics and Long Beach Police Dept. Explorers Program. Brandon has also trained and learned under Track and Field Icons Tommie Smith and John Smith, who has coached Olympic Gold Ato Bolden, Maurice Green, and Carmelita Jeter. Brandon holds a Bachelors Degree from UCLA and is a USATF Approved Track and Field Coach. DeSean Jackson F.A.S.T. 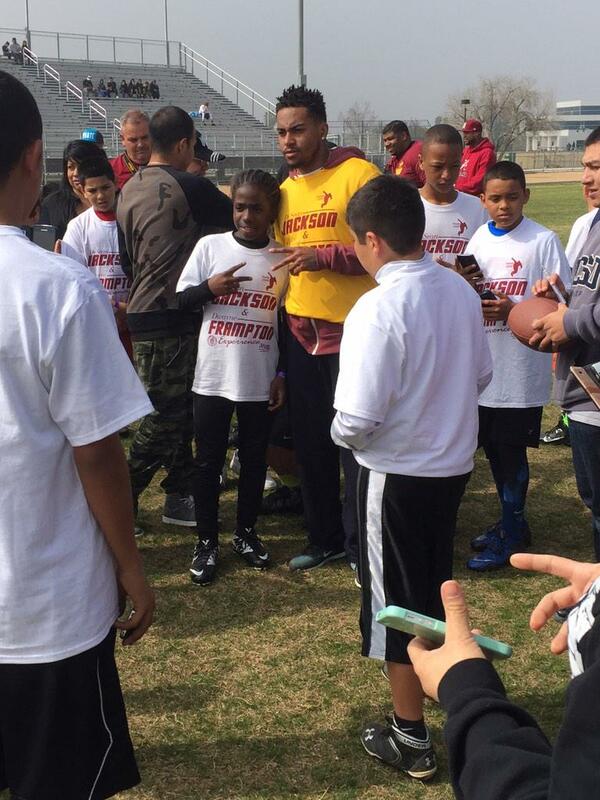 Camp partnered with Dwayne Frampton’s Framp Camp in 2015 (Bakersfield, CA) for 150 youth. Special Guests: DeSean Jackson, Washington Redskins, Isiah Green, Pittsburgh Steelers, Ryan Broyles, Detroit Lions, De’Anthony Thomas, Kansas City Chiefs. Pictured below: De’Anthony Thomas, “The Black Momba”, Kansas City Chiefs’ Rookie of the Year volunteered to help DeSean Jackson with his camp. Please follow De’Anthony athttp://www.datblackmomba.com. 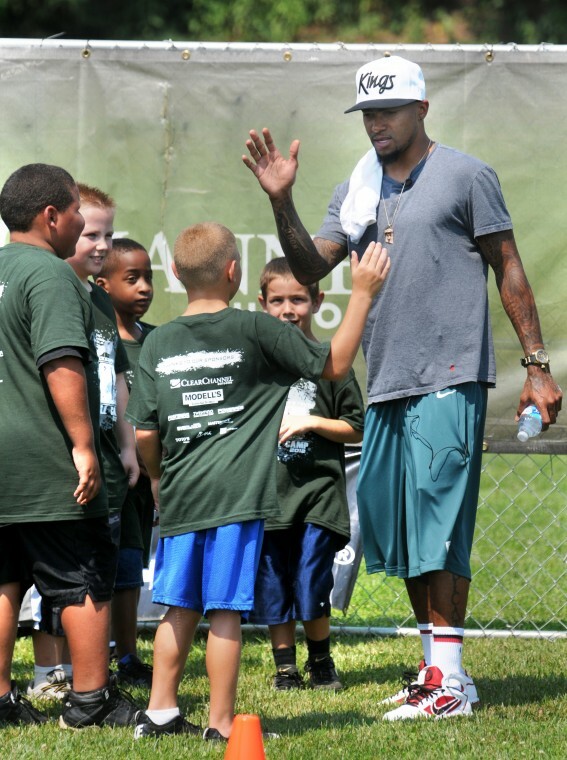 DeSean teaching a young camper football drills. 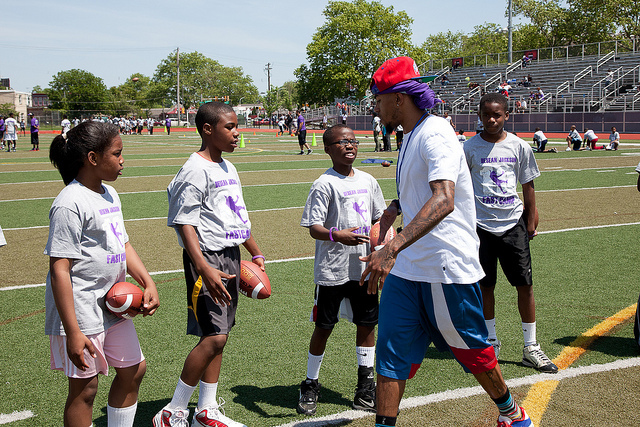 Presently, The DeSean Jackson Youth Camp is a national initiative that DeSean Jackson takes into schools, faith and community based organizations and corporations to promote healthy lifestyles; target escalating obesity, teamwork, anti-bullying. 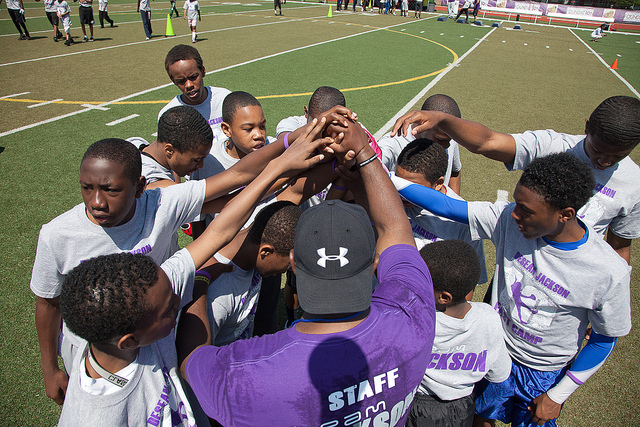 Contact Information: Mrs. Gayle Jackson, President, The DeSean Jackson Foundation, if you are interested in sponsoring a DeSean Jackson Youth Camp in your city, school, church or corporation. Please complete the attached form and Mrs. Jackson will respond to your inquiry.